Most of the files that you see of the form .001, .002 are split using hjsplit. To join them you just need to use hjsplit.Downloadclick here. You do not have to install HJSplit. 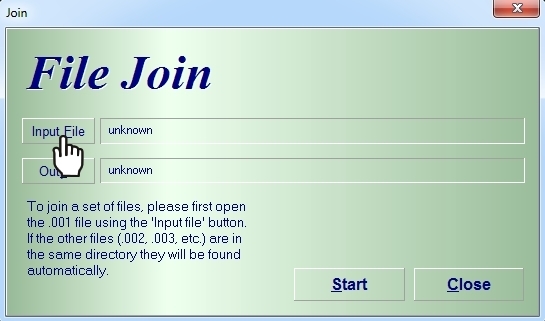 Just extract ‘hjsplit.zip’ which you would download and double click onHJSplit.exe to start HJSplit. After that, the main window of HJSplit will appear. First of all and most important,make sure you put all part that need to combine in one folder. 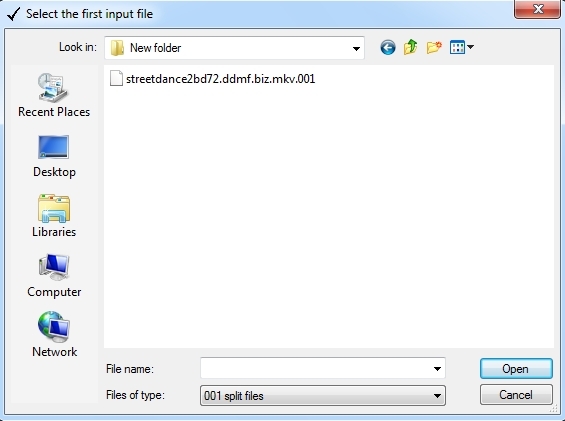 3)In the new window, select only the first file of the files that we would like to join (it automatically shows only .001 file), sostreetdance2bd72.ddmf.biz.mkv.001 in this case, and click on ‘Open’ after that.